Spotify launches for Amazon Echo in U.S.
Spotify Premium subscribers in the U.S. can now play any music within the Spotify catalog on Amazon Echo. That means users can just ask Alexa for music from a particular artist, genre, or playlist and it will play on Echo. In addition, Echo is now one of the available devices listed in the Spotify app, so users can transfer control of Spotify to Echo through Spotify Connect. “Now playing your favorite music from Spotify is as easy as asking Alexa,” said Toni Reid, Director, Amazon Alexa. “Creating innovative experiences is core to our mission. We know our users will love controlling music with their voice at home,” said Ian Geller, Global Head of Hardware at Spotify. Spotiify offers a free 30-day trial of Spotify Premium to new users. 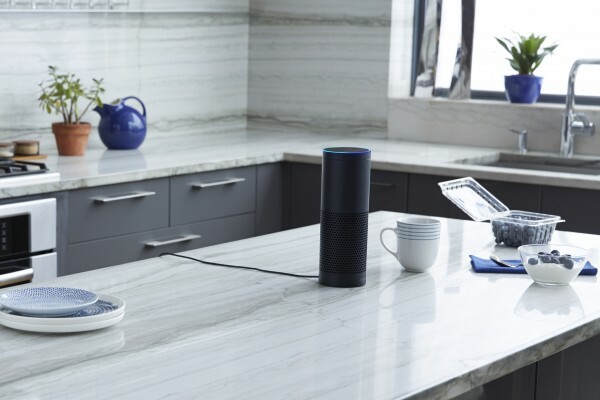 Echo users can also play music from Amazon Music, Prime Music, iHeartRadio, Pandora, and TuneIn.